After losing two of the weekend’s three events, the Summit USMTS Southern Series powered by Production Jars invaded the Kennedale Speedway Park on Friday for the third round of the Summit USMTS Winter Speedweeks, and the wet Texas week finished off with a fantastic finish for the history books. After scoring the most heat race passing points, Clyde Dunn Jr. redrew the pole position for the start of the 40-lap Summit Racing Equipment “A” Main but after catching a rut in the first turn a flat tire sent him to the pits along with two others as caution waved off the initial start. Grant Junghans USMTS Rookie of the Year contender Ethan Dotson of Bakersfield, Calif., set the pace for the restart and pulled out to a sizeable lead with two-time USMTS national champ Rodney Sanders in tow. Lapped traffic came into play with eight laps in the books, and Sanders used it to his advantage to squeeze underneath Dotson and grab the lead while Jack Sartain, Kevin Rutherford and 17th-starting Cade Dillard filling the rest of the first five spots. Sanders stretched his lead over the next ten laps and began to put drivers running among the top ten a lap down. Meanwhile, Dunn had worked his way back up to eighth after restarting the race at the rear of the pack but suffered a second flat tire and exited the rough-and-tumble battle. With 20 down, officials cut the distance to 35 laps due to the rough conditions, but Dotson was reeling in Sanders and pulled even as the pair streaked beneath the white flag. Sanders went low entering the final corner while Dotson scraped the mud off the outside concrete wall. Sanders slid up as he exited turn four as Dotson crossed over underneath. Coming to the checkered flag, it looked as if a photo-finish was inevitable but Sanders suddenly slowed—a victim of a broken transmission—as Dotson scooted underneath and crossed the finish line first to score his first USMTS victory. Dotson, who turned 19 in January, is travelling with Joe Duvall and crew chief Scott Drake this season, Both drivers are utilizing a Chevrolet Performance CT-525 crate engine. “I can’t thank Joe and Scott enough for giving me this opportunity and their priceless feedback,” he added. “When Rodney got by me I just wanted to stay with him. I saw him slow there at the end and I crossed him over and was just able to get by. With the race shortened to 35 laps, Sanders was able to get the runner-up paycheck with Dillard charging to the third spot. Another rookie, Zane Ferrell, finished fourth and Johnny Scott passed 15 cars en route to a fifth-place finish. Rutherford, Austin Bonner, Mitchell, Bryan Rowland and Bobby Malchus rounded out the top ten. The 9th Annual Summit USMTS Winter Speedweeks continues this Friday, Saturday and Sunday, March 9-11, when the USMTS invades three of the fastest dirt tracks in Mississippi for a two-fer featuring the Summit USMTS Southern Series and USMTS Hunt for the Casey's Cup. 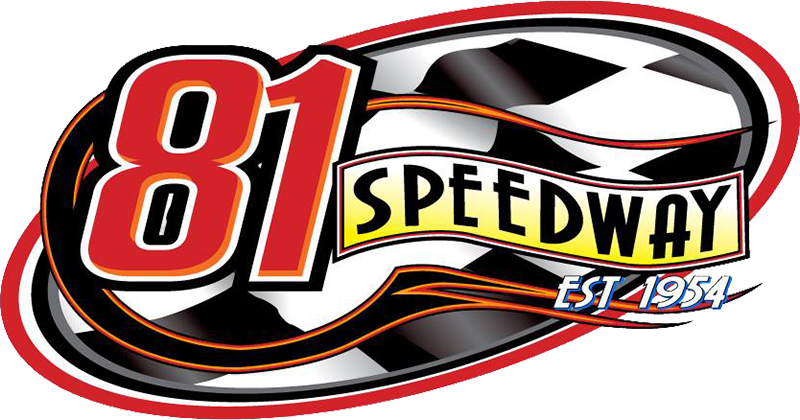 The titanic tripleheader gets started Friday at the historic Jackson Motor Speedway in Byram with gates opening at 5:30 and racing at 7:30 with Crate Late Models, Sportmans and Factory Stocks also on the bill. Then on Saturday the touring titans of the USMTS bring the boom to the “House of Hook” at the Whynot Motorsports Park in Meridian with racing at 6:30 and six big divisions of racing. The action reaches a boiling point on Sunday as the meanest machines in America make their maiden voyage to the legendary Magnolia Motor Speedway in Columbus for a wheel-to-wheel showdown at "The Mag" with four classes in action and the green flag waving at 5:15. 2. (3) 21 Austin Bonner, Elk City, Okla.
3. (5) 65 Carlos Ahumada Jr. (R), Canutillo, Texas. 4. (6) 14t Triston Dycus, Waxahachie, Texas. 7. (1) 56 Troy Taylor, Midlothian, Texas. 8. (4) 19 Robert McKinney, Alvarado, Texas. 9. (9) 4r Dereck Ramirez, Woodward, Okla.
1. (7) 88xxx Clyde Dunn Jr., Rockwall, Texas. 2. (2) 24z Zane Ferrell (R), Hermitage, Ark. 4. (1) 60 William Gould, Calera, Okla.
5. (3) 91 Joe Duvall, Claremore, Okla.
6. (8) 52 John Gober, Poolville, Texas. 8. (6) 4 Bo Day (R), Greenville, Texas. 9. (5) 23 Adam Kates, Tonganoxie, Kan.
1. (5) 47 Jack Sartain, Terrelll, Texas. 2. (1) 4v Billy Vogel, West Fargo, N.D.
3. (6) 71 Chad Melton, Mineral Wells, Texas. 4. (3) 130 Chase Allen, Midlothian, Texas. 5. (7) 24M Manuel Williams II (R), Fouke, Ark. 6. (8) 151 Tommy Williams, Mansfield, Texas. 7. (2) 24 Manuel Williams Sr. (R), Fouke, Ark. 8. (4) A1 Phil Dixon, Crosby, Texas. 9. (9) 33f Jardin Fuller (R), Memphis, Mo. 2. (2) 9 Kevin Rutherford, Flower Mound, Texas. 3. (3) 23 Logan Robertson, Shamrock, Texas. 4. (4) 20R Bryan Rowland, Woodward, Okla.
6. (7) 75 Patrick Daniel, Wills Point, Texas. 7. (8) 1st Johnny Scott, Cameron, Mo. 8. (6) 57 Mark Shipman, Grandview, Texas. 9. (9) 20t Bailey Rowland, Woodward, Okla.
1. (1) 14t Triston Dycus, Waxahachie, Texas. 2. (2) 60 William Gould, Calera, Okla.
6. (5) 52 John Gober, Poolville, Texas, CAM/ChevPerf, $75. 7. (10) A1 Phil Dixon, Crosby, Texas, Elite/CB, $90. 8. (8) 56 Troy Taylor, Midlothian, Texas, TNT/Wells, $90. 9. (9) 19 Robert McKinney, Alvarado, Texas, CAM/Uniflex, $75. 10. (7) 88r A.J. Vasquez (R), Garden City, Mich., Hughes/Farris, $90. 11. (11) 4r Dereck Ramirez, Woodward, Okla., Hughes/Cornett, $0. 12. (12) 33f Jardin Fuller (R), Memphis, Mo., Hughes/Mullins, $0. 1. (2) 130 Chase Allen, Midlothian, Texas. 2. (4) 5 Jon Mitchell, Texarkana, Texas. 3. (3) 24M Manuel Williams II (R), Fouke, Ark. 5. (5) 151 Tommy Williams, Mansfield, Texas. 6. (12) 20t Bailey Rowland, Woodward, Okla., BlackWidow/ProPower, $75. 7. (11) 23 Adam Kates, Tonganoxie, Kan., VanderBuilt/Speedway, $90. 8. (10) 57 Mark Shipman, Grandview, Texas, GRT/ChevPerf, $75. 9. (6) 75 Patrick Daniel, Wills Point, Texas, LG2/Wells, $75. 10. (9) 4 Bo Day (R), Greenville, Texas. 11. (1) 4m Bobby Malchus, Red Oak, Texas. 12. (8) 24 Manuel Williams Sr. (R), Fouke, Ark., Bandit/Kraft, $90. 1. (2) 174 Ethan Dotson (R), Bakersfield, Calif., MBCustoms/ChevPerf, $3000. 2. (4) 20 Rodney Sanders, Worthington, Minn., MBCustoms/Hatfield, $1700. 3. (17) 97 Cade Dillard, Robeline, La., MBCustoms/Knowles, $1200. 4. (5) 24z Zane Ferrell (R), Hermitage, Ark., MBCustoms/ASI, $1000. 5. (20) 1st Johnny Scott, Cameron, Mo., VanderBuilt/Durham, $800. 6. (9) 9 Kevin Rutherford, Flower Mound, Texas, MBCustoms/ASI, $700. 7. (6) 21 Austin Bonner, Elk City, Okla., MBCustoms/Karl, $600. 8. (16) 5 Jon Mitchell, Texarkana, Texas, MBCustoms/Sput’s, $500. 9. (19) 20R Bryan Rowland, Woodward, Okla., BlackWidow/ProPower, $450. 10. (23) 4m Bobby Malchus, Red Oak, Texas, Rocket/Wells, $400. 11. (7) 47 Jack Sartain, Terrelll, Texas, BillsBuilt/3D, $325. 12. (1) 88xxx Clyde Dunn Jr., Rockwall, Texas, MBCustoms/Mullins, $350. 13. (10) 65 Carlos Ahumada Jr. (R), Canutillo, Texas, GRT/BMS, $325. 14. (21) 91 Joe Duvall, Claremore, Okla., MBCustoms/ChevPerf, $300. 15. (8) 71 Chad Melton, Mineral Wells, Texas, Harris/ChevPerf, $250. 16. (24) 4 Bo Day (R), Greenville, Texas, MBCustoms/Mullins, $300. 17. (13) 14t Triston Dycus, Waxahachie, Texas, GRT/Wells, $250. 18. (3) 4v Billy Vogel, West Fargo, N.D., MBCustoms/Durham, $300. 19. (12) 23 Logan Robertson, Shamrock, Texas, MBCustoms/Knowles, $300. 20. (22) 151 Tommy Williams, Mansfield, Texas, Hughes/Herring, $250. 21. (18) 24M Manuel Williams II (R), Fouke, Ark., Bandit/Kraft, $300. 22. (11) 2s Stormy Scott, Las Cruces, N.M., VanderBuilt/Mullins, $300. 23. (15) 60 William Gould, Calera, Okla., GRC/BMS, $250. 24. (14) 130 Chase Allen, Midlothian, Texas, CAM/ChevPerf, $250. Lap Leaders: Dotson 1-8, Sanders 9-34, Dotson 35. Total Laps Led: Sanders 26, Dotson 9. Margin of Victory: 0.781 second. Time of Race: 17 minutes, 27.451 seconds (2 cautions). Eibach Spring Forward Award: J. Scott (advanced 19 positions). FK Rod Ends Hard Charger: J. Scott (started 20th, finished 5th). Next Race: Friday, March 9, Jackson Motor Speedway, Byram, Miss. Summit USMTS Southern Series Points: J. Scott 288, Dillard 277, Dotson 268, Sanders 248, Duvall 235, Mitchell 235, Ferrell 223, Ahumada 218, Bryan Rowland 216, Robertson 204. Grant Junghans USMTS Rookie of the Year Points: Dotson 268, Ferrell 223, Ahumada 218, Day 188, M. Williams II 184. USMTS Engine Builder of the Year Points: Durham 26, Knowles 25, ChevPerf 25, Hatfield 17, Sput’s 14. USMTS Manufacturers Championship Points: VanderBuilt 29, MBCustoms 28, GRT 18, BlackWidow 18, Hughes 17. Beyea Custom Headers – Dycus. BSB Manufacturing – M. Williams II. Forty9 Designs – Duvall, Robertson. GRT Race Cars – Dycus. Jerovetz Motorsports Racing Parts – Melton. KSE Racing Products – Bryan Rowland. Maxima Racing Oils – Dotson. Out-Pace Racing Products – Day. Swift Springs – Dotson, Sartain. VP Racing Fuels – Dotson. Wehrs Machine & Racing Products – Dotson. Wilwood Disc Brakes – Bonner.